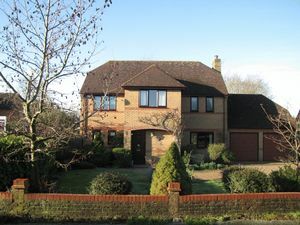 An imposing detached property on a small, exclusive development of individually designed executive homes occupying a generous plot, backing on to paddock land. 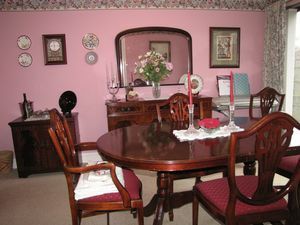 The current owners have been in residence since 1993 and were the first people to live in the house, so this is the first time the house has ever been available! 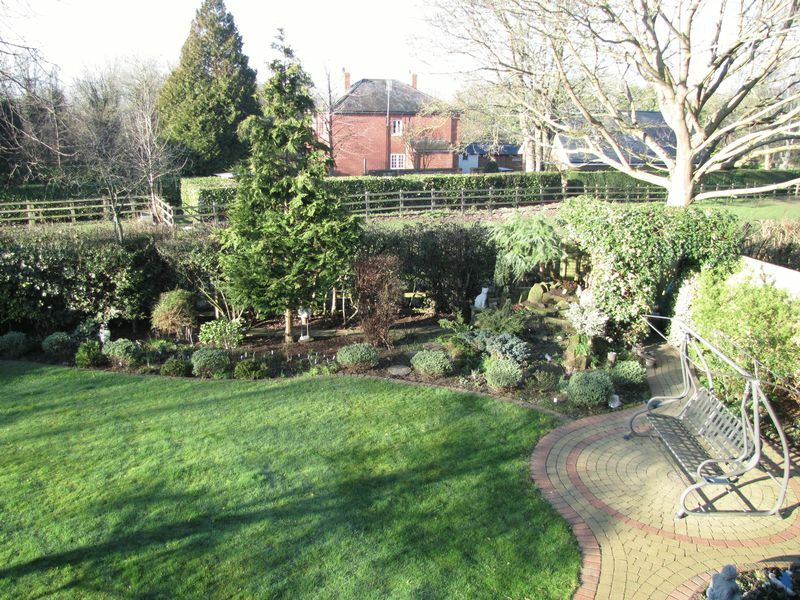 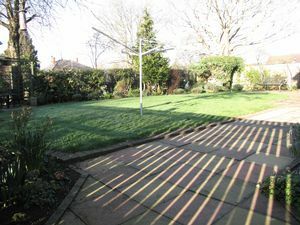 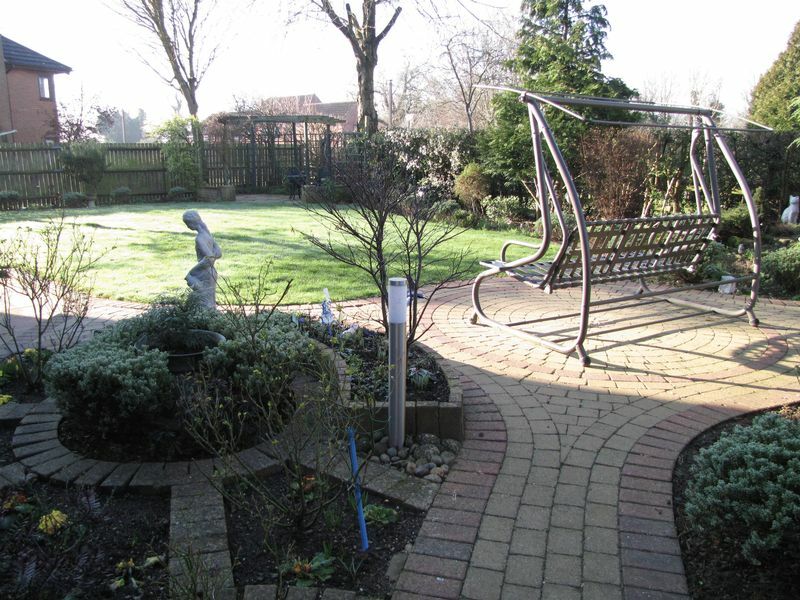 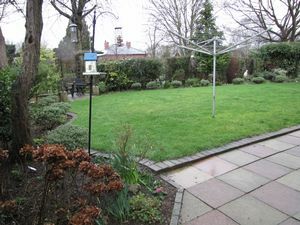 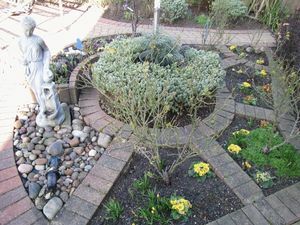 Outside, the gardens have been landscaped to a high standard and you are able to walk around the entire house. 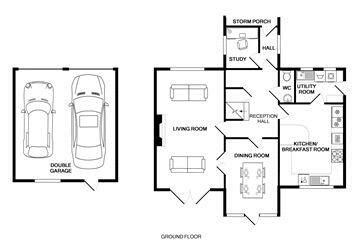 There is a large block paviour driveway providing access to a double garage and off road parking for up to five cars. 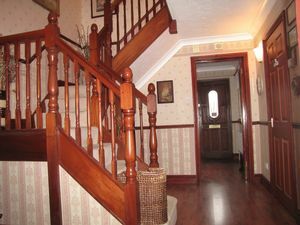 Internally there is a welcoming reception hall, a dual aspect living room, spacious dining room, study, kitchen/ breakfast room, utility room, cloakroom, gallery landing, master bedroom suite with balcony, separate dressing area and en suite shower room, guest bedroom with Jack & Jill access to the family bathroom, further double bedroom and a generous single/ small double bedroom. 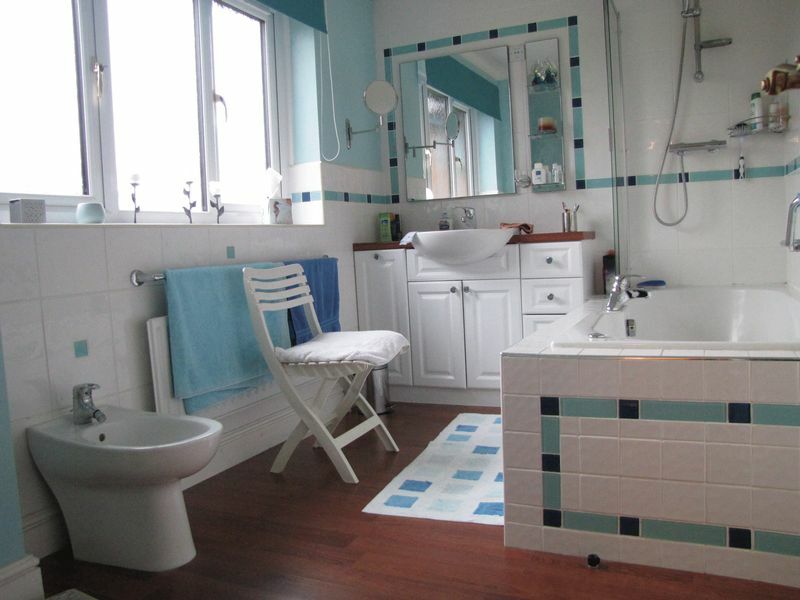 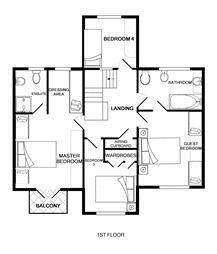 The family bathroom is unusually spacious and features a spa bath, vanity unit with wash basin, bidet & WC. 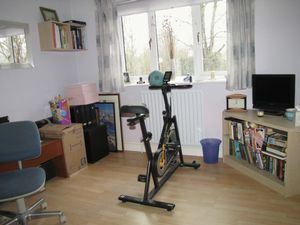 This is a special location and needs to be seen to really appreciate what is on offer. 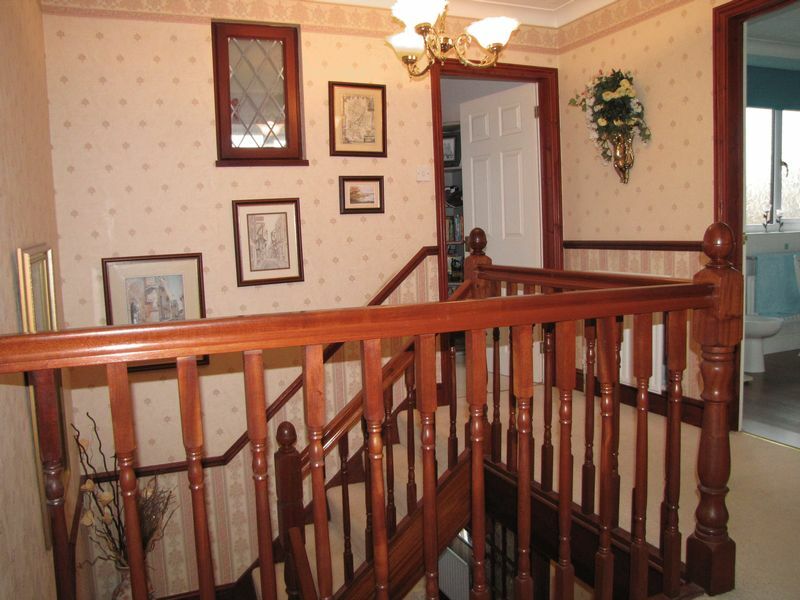 Coving, double glazed window to side aspect, radiator. 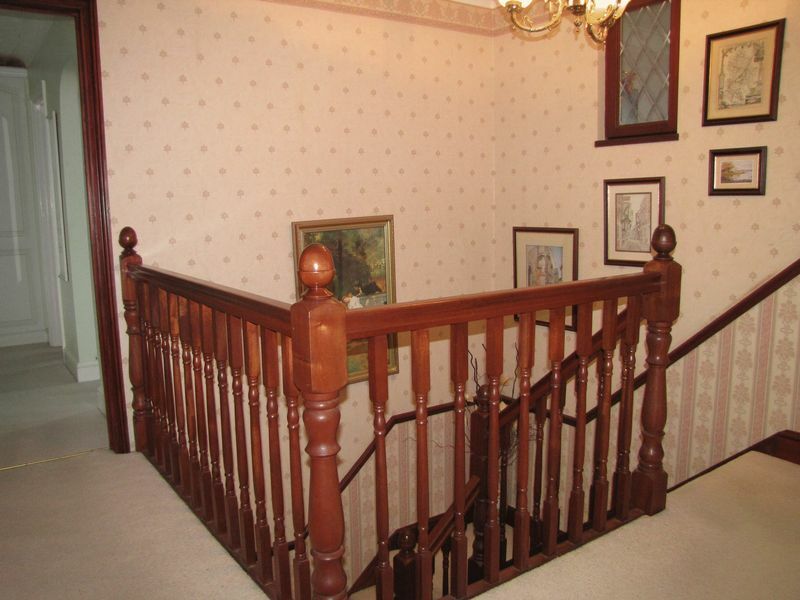 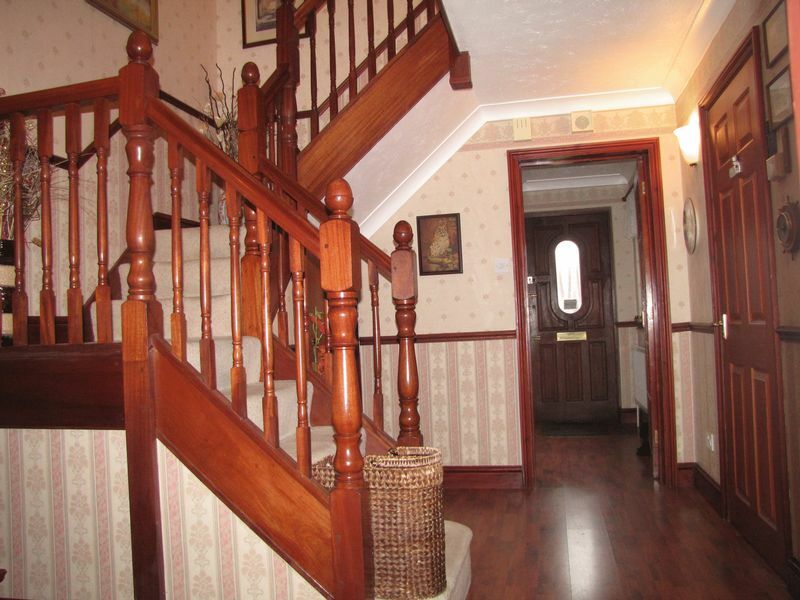 Under stairs storage cupboard, dado rail, coving, return staircase leading to first floor galleried landing, thermostat for central heating temperature control, three wall-light points, double radiator. 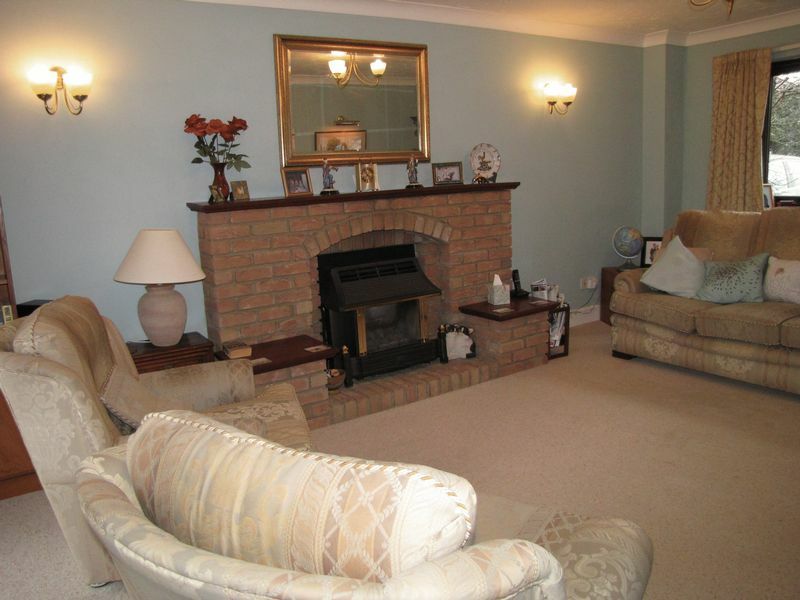 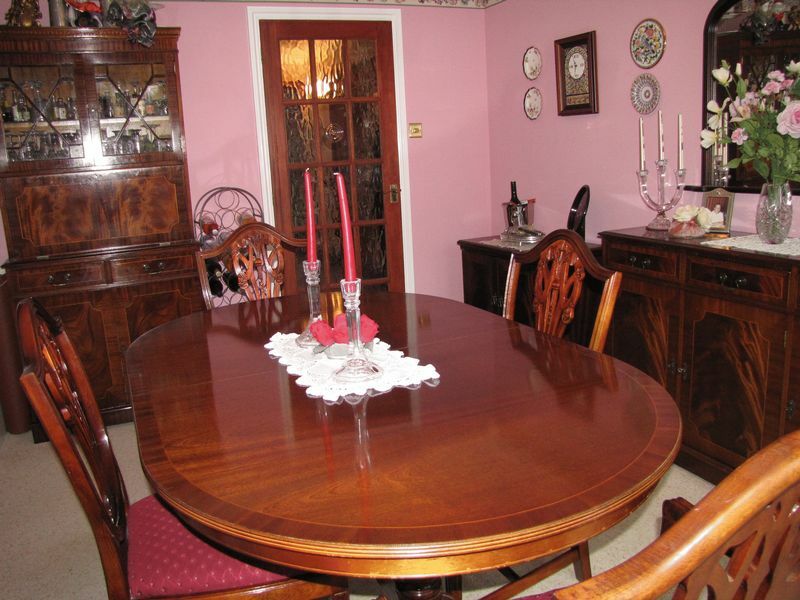 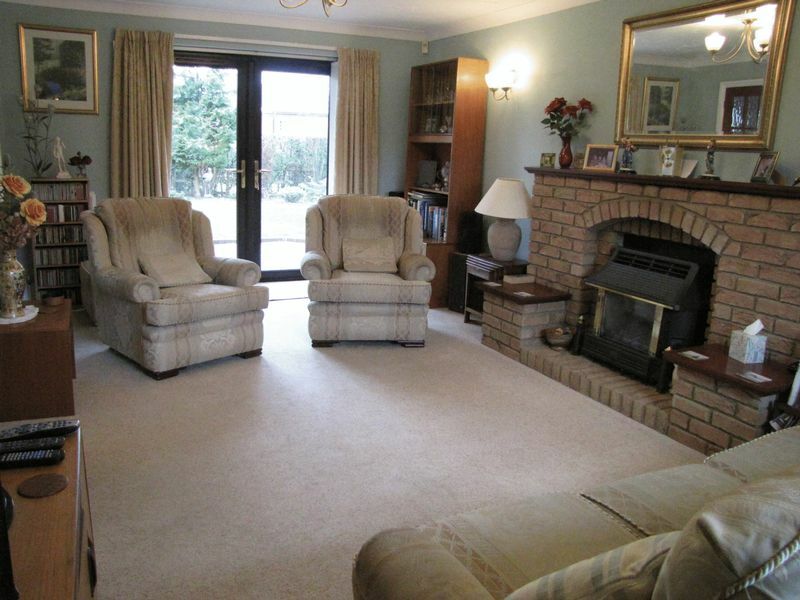 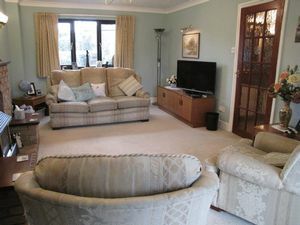 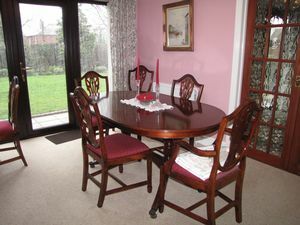 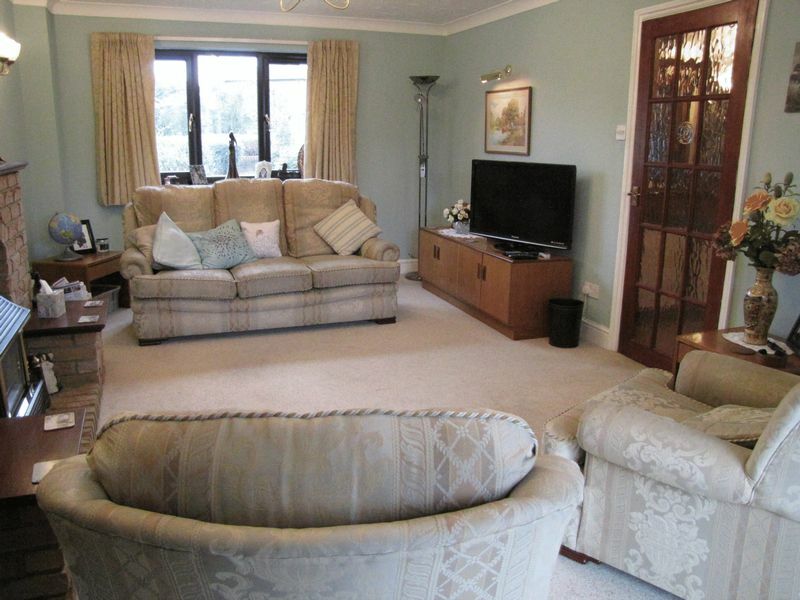 Doors leading to Reception Hall and Living Room, coving, double glazed window and door to rear aspect, double radiator. 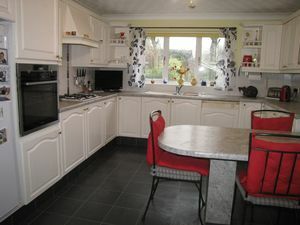 Single drainer stainless steel sink unit with mixer taps inset to work surface, base and eye level storage units, work surface with tiled splashback, Bosch automatic washing machine and separate Bosch tumble dryer, wall mounted new gas fired Worcester boiler installed recently serving domestic hot water supply and radiators, coving, twin double glazed windows to front aspect, double glazed door to side aspect, radiator. 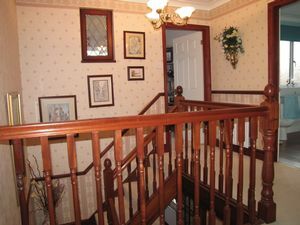 Access to part boarded loft space with ladder, coving, double radiator. 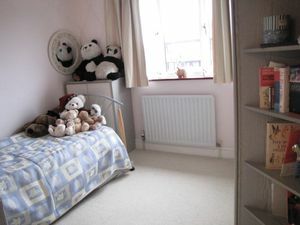 Bedroom Area: 12’10” x 11’7” Coving, range of fitted bedroom furniture with drawer units, dresser, wardrobes and over-bed cupboards. 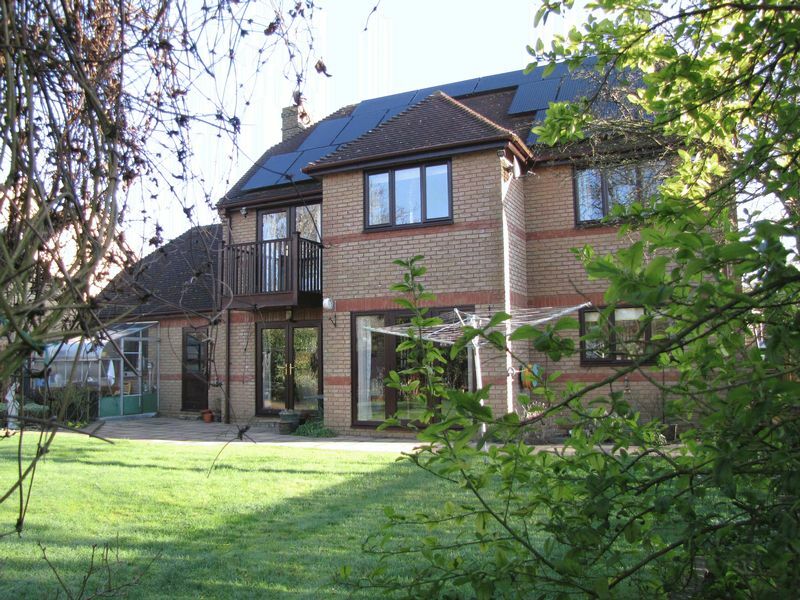 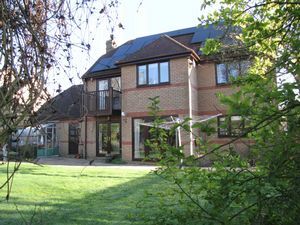 Central light cluster with oscillating fan, double glazed window and door leading to balcony affording garden and paddock views, double radiator. 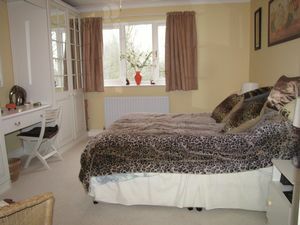 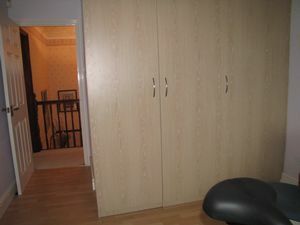 Dressing Area: 7’1” x 6’1” Fitted wardrobes with sliding mirrored doors, double glazed window to front aspect, radiator. 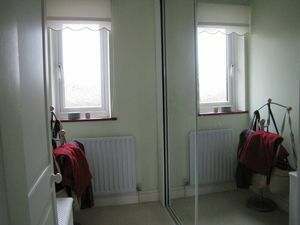 Suite of fully tiled shower cubicle, pedestal wash hand basin, low flush WC, coving, double glazed window to front aspect, radiator. 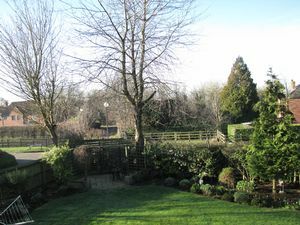 Enjoying garden and paddock views. One triple and one double wardrobe, dressing table, coving, double glazed window to rear aspect affording garden and paddock views. 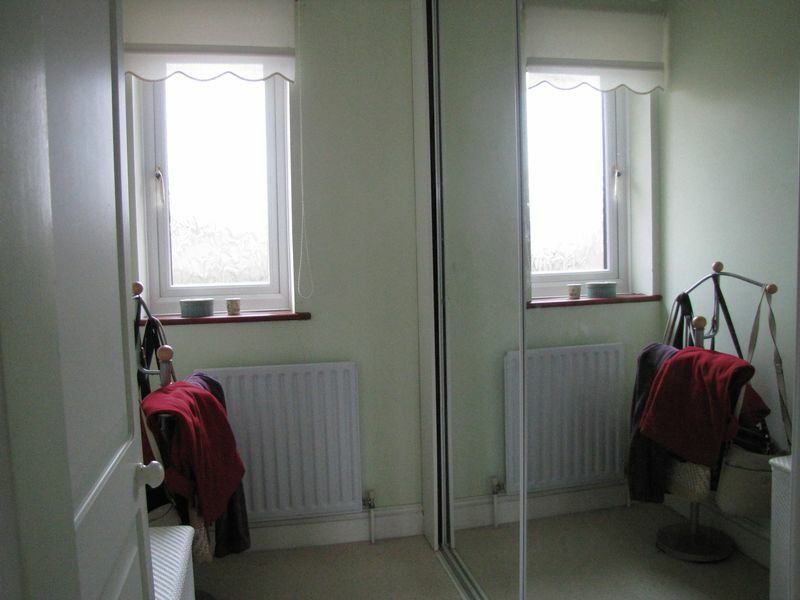 Door leading to family bathroom, radiator. 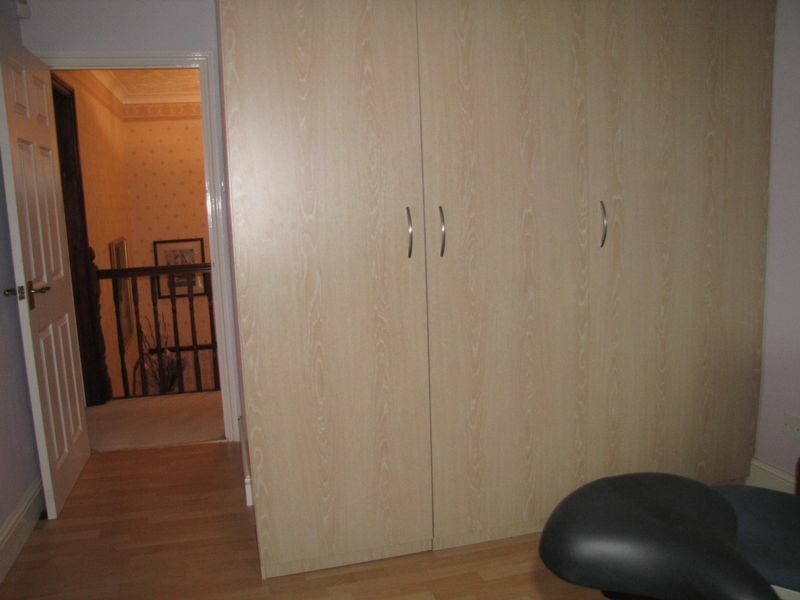 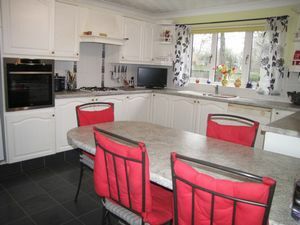 Fitted triple wardrobe, coving, double glazed window affording garden and paddock views to rear, radiator. 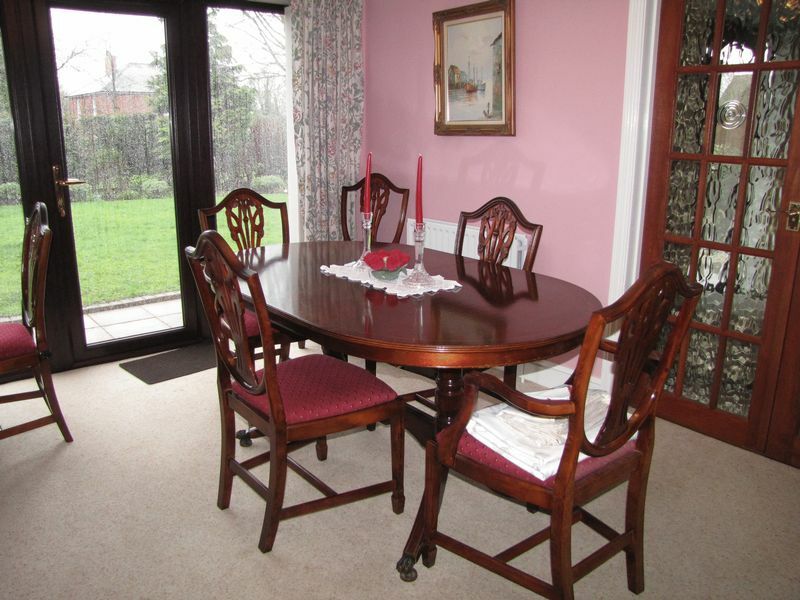 A generous single or small double, coving, double glazed window to front aspect, radiator. Suite of spa bath with separate shower over and splash screen, multi-drawered vanity unit with wash hand basin and mixer taps, electric shaver point, WC with concealed cistern, coving, double glazed window to front aspect, radiator. 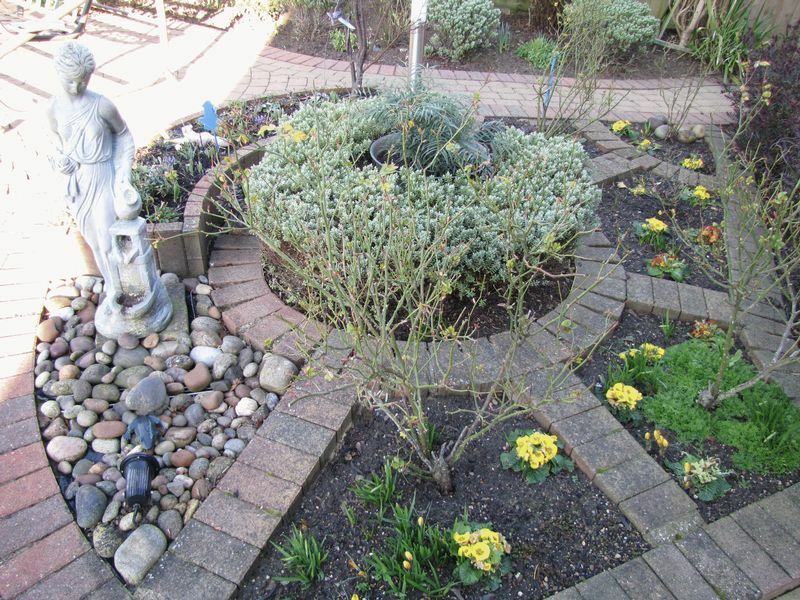 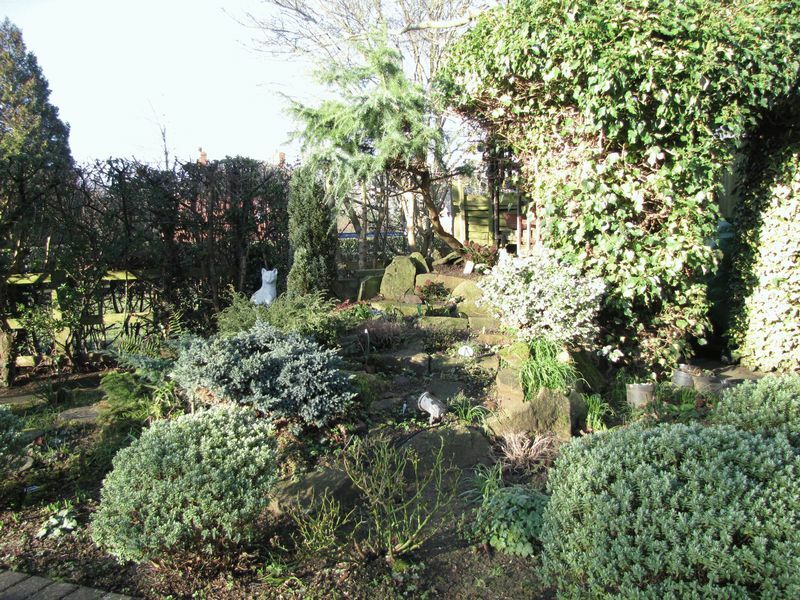 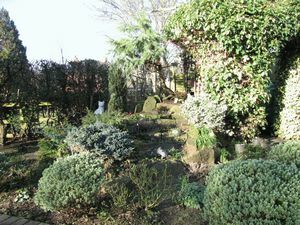 Being of generous size and fully enclosed and beautifully landscaped laid to lawn with well stocked flower and shrub borders, large sun terrace, rockery, greenhouse, gazebo, outdoor dining space, outside water supply. 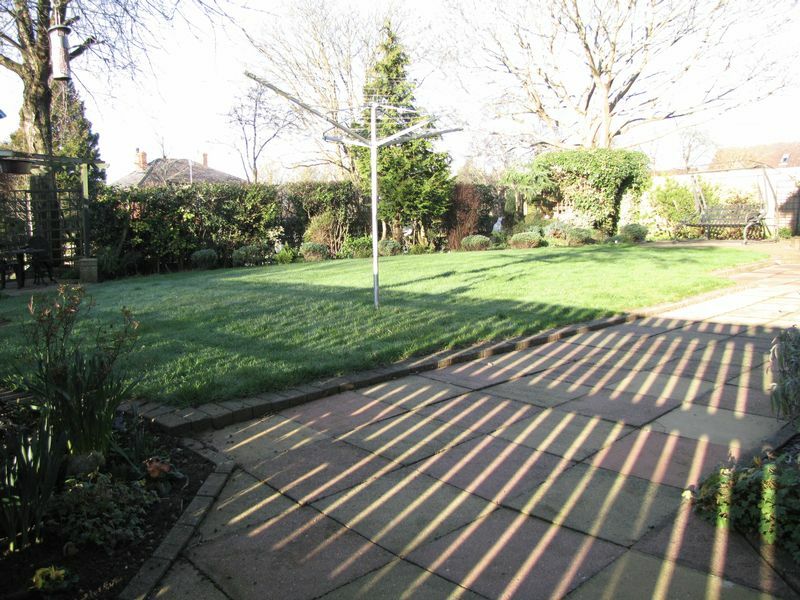 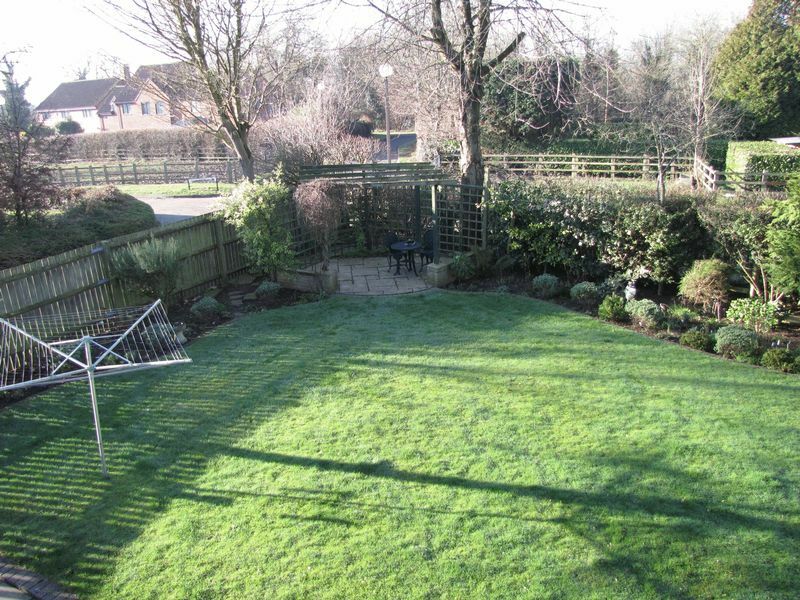 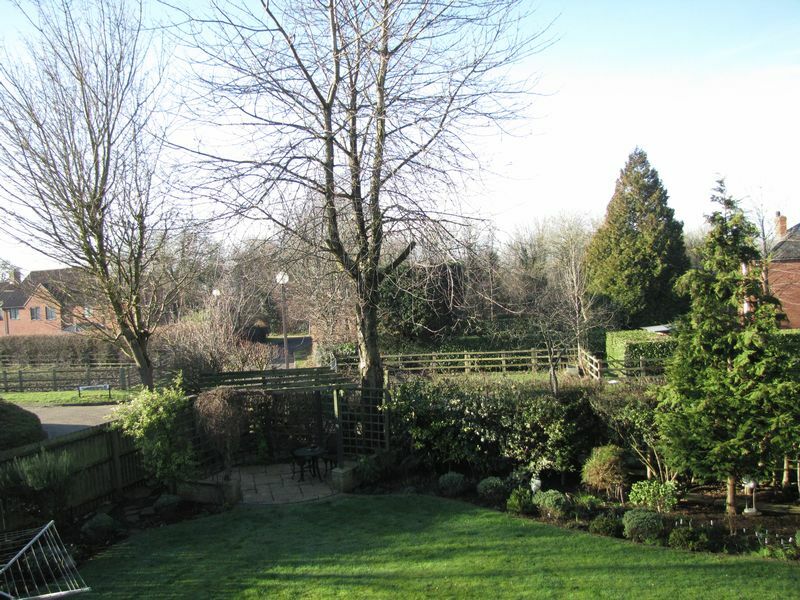 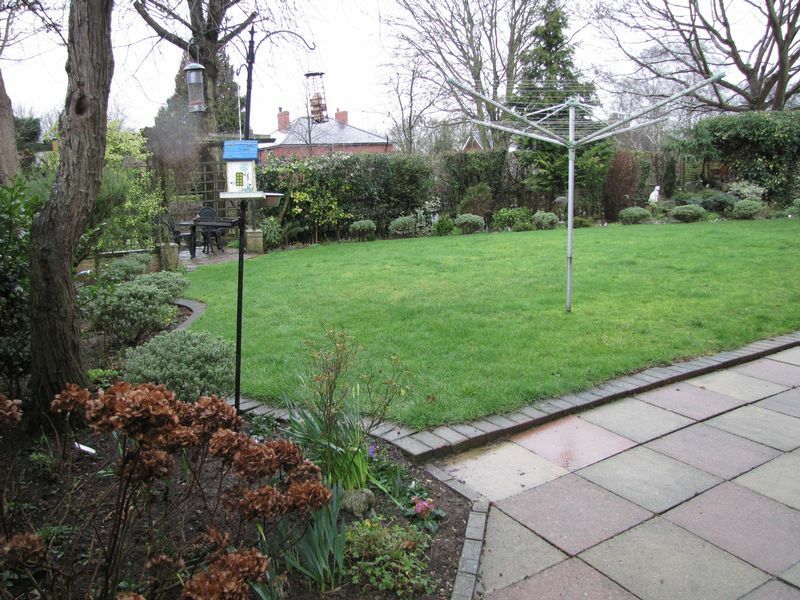 The garden has a good degree of privacy and abuts paddock land at the rear. 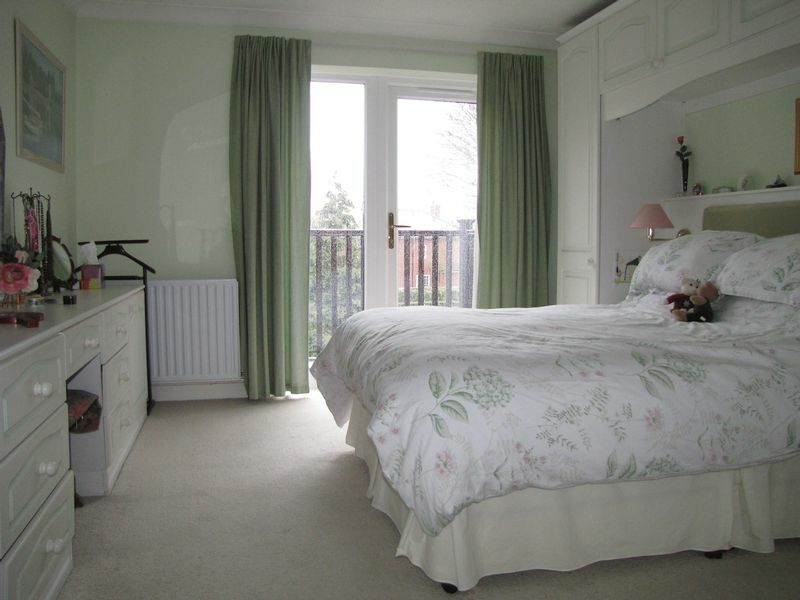 Twin up and over doors, power, light, double glazed window and door to rear garden.